Dublin Robotics Boosters – Inspiring tomorrow's technology leaders! Parents and students learn about all the robotics programs from 4th through 12th grades. Speak with current team members and see robots from each program. We will discuss when each season starts and what is the time commitment of being on a team. Parents and students learn about First Lego League robotics programs from 4th through 8th grades. FIRST® LEGO® League challenges children ages 9 to 14 to think like scientists and engineers. During the 2018/19 INTO ORBITSM Season, teams will choose and solve a real-world problem in the Project. They will also build, test, and program an autonomous robot using LEGO®MINDSTORMS technology to solve a set of missions in the Robot Game. Throughout their experience, teams will operate under Core Values celebrating discovery, teamwork, and Gracious Professionalism. (come in through Door #1 and come to room A117.) While the students brainstorm the game, we will have a parent meeting to talk about the season and the team schedule. Our general schedule for the build season will be evening meetings (6:30-8:30) on Mondays and Wednesdays and after school meetings (3:00-5:00) on Tuesdays and Thursdays. We will meet most Saturdays (starting Jan. 13) from 9:30-4:00. There may be one or two Saturday schedule changes because of testing going on at Coffman. Those will be announced as soon as we know them. Please remember that most students don’t come to every meeting. Figure out what meetings work with your schedule and come to those. Find the Dublin FRC Registration form here. Please fill out the registration form with what grade and school your student is attending. We would like to set up car pools from Jerome and Scioto for weekday meetings. We will be hosting a 19 team competition. Robot games begin at 12:30 pm and run to 3:30 pm. 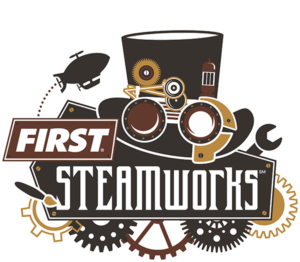 There are over 100 FLL teams in Central Ohio and we hope you can find the time to attend this competition to learn more about the students and the FLL robotics program. Dublin Robotics Boosters sponsors this STEM program for students from 4th thru 8th grades. FIRST Lego League JR EXPO is also Jan 6th from 9:00 to 11:00 am. See how easy it is to start a team. This STEM program is for students from ages 6-9. Is your child in 6 to 9 years old? JR FIRST Lego League is the Program for you. Preliminary meetings have begun to learn Java programming and 3D modeling. Contact coach Greg King at Dublin Coffman High School for more information and follow the team on Facebook. Find the Dublin registration above at the “Forms/Brochure” tab and choose FRC. Please fill out the registration form with what grade and school your student is attending. We would like to set up car pools from Jerome and Scioto for weekday meetings. FLL Registration is now closed. We encourage you to visit the Dublin Robotics FLL District Tournament – January 6, 2018 at Dublin Jerome H.S. We will be hosting a 24 team competition. Robot games begin at 11:30 am and run to 4:30 pm. 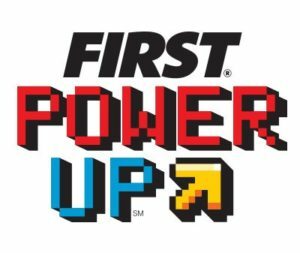 There are over 100 FLL teams in Central Ohio and we hope you can find the time to attend this competition to learn more about the students and the FLL robotics program. We are also in need of judges and volunteers. Please consider helping out. It is a great way to learn the program and prepare you to be a coach for your child’s team. Come learn about FIRST Lego League and what it means to be on a team. We will try to answer all your questions about team meetings, what to expect at competition and have a few robots to show the kids. It is time for FLL Registration so collect some friends and form a team. 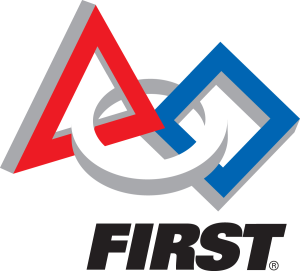 Also visit www.firstinspires.org and browse the national website to learn about all the robotics programs. Then go to DublinRoboticsBoosters.org and find the register tab and choose FLL. Please fill out the registration form with what school and grade your student will be in this year. Also consider being a coach. Each team must have at least two parent volunteers to coach the team. We have lots of help to get you started and remember to visit YouTube to see what teams have done in the past.